1.1 Gambling in Macau: The gambling industry generates only in Macau over the 40% of its GDP and 70% of Macau’s government income. 1.7.3 How do MMORPGs Produced in China Fair against Those from Other Parts of the World? Gambling in Macau: The gambling industry generates only in Macau over the 40% of its GDP and 70% of Macau’s government income. 1 Gambling in Macau: The gambling industry generates only in Macau over the 40% of its GDP and 70% of Macau’s government income. Gambling in China is officially illegal, however in 2010, the Chinese State Council approved the idea of Hainan as a “testing ground for China’s lottery and gambling industry.” Even if illegal, Chinese can partecipate in state-run lotteries (China Sports Lottery and the China Welfare Lottery), online gambling, engage in legal gambling in Hong Kong and Macau. Despite being illegal, in the mainland, gambling remains a common practice: betting in card games and mahjong or gambling in clandestine lotteries, unofficial casinos are very common. The situation is very different in the two special administrative regions of Hong Kong and Macau, where gambling and betting are legal and regulated. Since 1977, people in Hong Kong are allowed to gamble for leisure at a limited number of authorized outlets under the Gambling Ordinance which limits the excessive gambling. Officially, casinos are illegal in Hong Kong. However, there are legal Mahjong schools, where gamblers can play Mahjong. In 1850, gambling was legalized in Macau, the so-called “Monte Carlo of the Orient” and “Las Vegas of the East”, in an attempt to generate revenues for the portuguese government, introducing a licensing system for the Chinese gambling houses (fantan houses). They were required to pay gambling rent to the government. In 1930, “Hou Heng Company”, headed by Fok Chi Ting, historically won the monopoly concession for operating all forms of approved casino games. 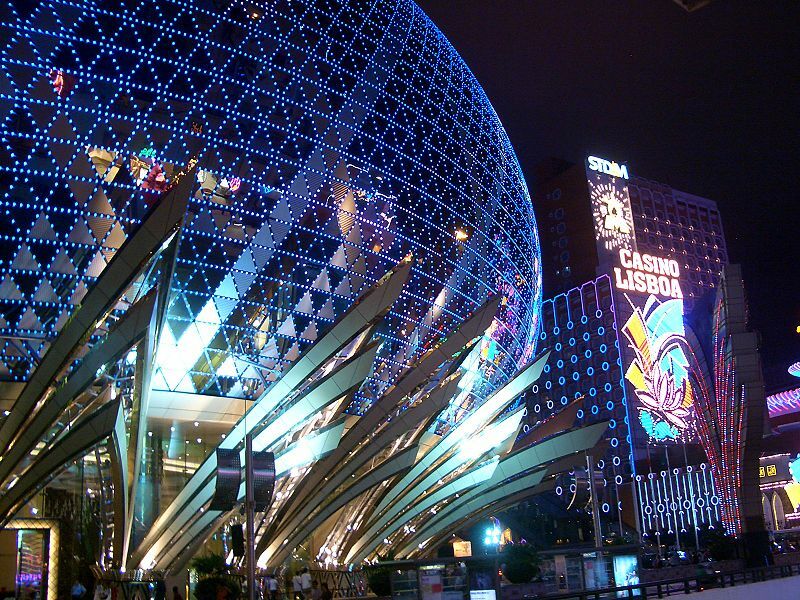 Upon granted the monopoly concession, “Hou Heng” started its casino business at the “Central Hotel” located in the Avenida Almeida Ribeiro and the previous “Victoria Cinema” (where the Tai Fung Bank is located now) respectively. In 1937, Tai Heng Company was granted with the second casino monopoly concession. “Tai Heng” converted the “New Central Hotel” in Avenida Almeida Ribeiro into its flagship casino and introduced Baccarat (the most popular game at the present time) and many new western game types. In 1962 the government granted a syndicate formed by Hong Kong and Macau businessmen, the Sociedade de Turismo e Diversões de Macau (STDM). STDM introduced western-style games modernising the marine transport between Macau and the British colony. In 1986 the license was extended for another 15 years and expired in 2001. After its return to China, becoming a Special Asministrative Region, there were no changes to gambling policy in Macau. Finally, in 2002, Macau ended the monopoly system and were granted 6 casino operating concessions to SJM (Sociedade de Jogos de Macau, 80% owned by STDM). Today there are 16 (soon 16) casinos operated by the STDM. In 2002, the government signed concession contracts with two Macau gaming companies, Wynn Resort Ltd. and Galaxy Casino. This move, opened the gambling market for competition, increasing the tax revenue significantly and attracting more tourists to Macau. Today 33 casinos are operating in Macau, of which The Venetian Macao is the biggest. The main actors are Las Vegas Sands (4.8 billion revenues in 2011), SJM Holdings (9.7 billion revenues) and Galaxy Entertainment (4.2 billion revenues). In May 2004, the first casino of Venetian, Casino Sands, was opened. It was the first ever gaming investment project developed by an American company in Asia. Beginning in 1934, casinos’ ownership and operation was centralised. The casino industry was controlled by the STDM monopoly for 39 years.